The trip south continues! We now take a look at the southernmost team in the league, and one of the newest, the Florida Launch. The Florida Launch had a tremendous season, rounding out the year with a record of 8-7. Now, finishing one game above .500 may not seem like that great of an accomplishment, and that argument can be made. What made their season special was it culminated in the franchise’s very first playoff birth. Florida had an early exit from the playoffs, but they set the bar for future success for sure. It also showed that two of their high-profile rookies, Ryan Drenner and Dylan Molloy, can flourish together. Outside of the big trade that sent Liam Byrnes to Atlanta, the Launch were pretty quiet this offseason. Therefore, you have to dig a little bit deeper to find a quality addition, and it may not be someone that initially jumps off the page. Which brings me to face-off specialist Johnny Paige. Paige, who attended both Open Tryouts for the Launch, was initially added to the 40-man training camp roster. Well, apparently he impressed Head Coach Tom Mariano enough to earn a spot on the final 25-man roster. Professional lacrosse is cool like that – thanks to Open Tryouts, so many guys have a chance to become the next Vince Papale (if you don’t know who that is, please go watch “Invincible” right now. I’ll wait.). Now, back to Paige. The DII product out of Queens University (Charlotte, represent!) was huge for the Royals during his college days. He was named to the SAC All Conference Team in each of the three years he played, and earned All Tournament Team honors. We have yet another team looking to sure up the FOGO spot on their roster with Trevor Baptiste set to enter the league. You may be noticing a theme with how much I mentioned Baptiste, but he’s a once-in-a-generation talent at that position, so I don’t think any of my gawking is unwarranted. I already mentioned him, but it will be interesting to see how the Launch fare without Liam Byrnes out there on defense. To keep things short and sweet, feel free to check out my thoughts on Byrnes in my preview of the Atlanta Blaze. But, alas, I’m going to sacrifice my own desire for the benefit of the readership and go with defenseman Tucker Durkin. 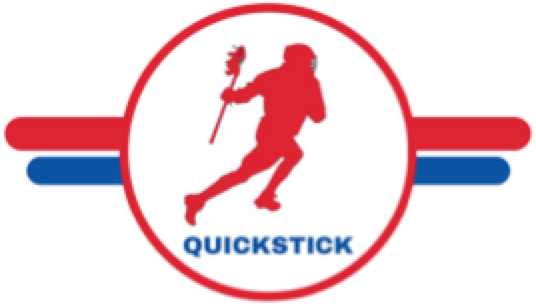 You better believe the Launch are getting the defender you just watched, because he’ll consistently be asked to guard the opposing team’s best attackman. However, I see Durkin as being up for the challenge. The Launch’s attack unit is pretty stocked with Drenner, Molloy, and Kieran McCardle, who will rejoin the team after his NLL season is over. Meaning, it will be up to Durkin, and the rest of the defense, to complete the balance on the field. I so badly wanted these to be blue, because I really like that color blue. However, I do like these unis. There isn’t too much going on, it’s not crowded, and they didn’t go with yellow helmets, thank God. As I mentioned before, I wish they had their team name on their chest, but that’s minor, I suppose. The color scheme works, and when you have Drenner on your team, he can make any uniform look good. I see the Launch having a great year and building on last year’s success. I think Durkin can hold down that defense, and I don’t see that attack unit slowing down any time soon, especially with McCardle set to return after a few games. Unfortunately for the Launch, I think there are four teams that finish with a better record and Florida is the first team out. Who will those four teams be? Well, Ohio is definitely one of them, but you’ll just have to stay tuned for the other three. More previews, and a draft review, are on the way!